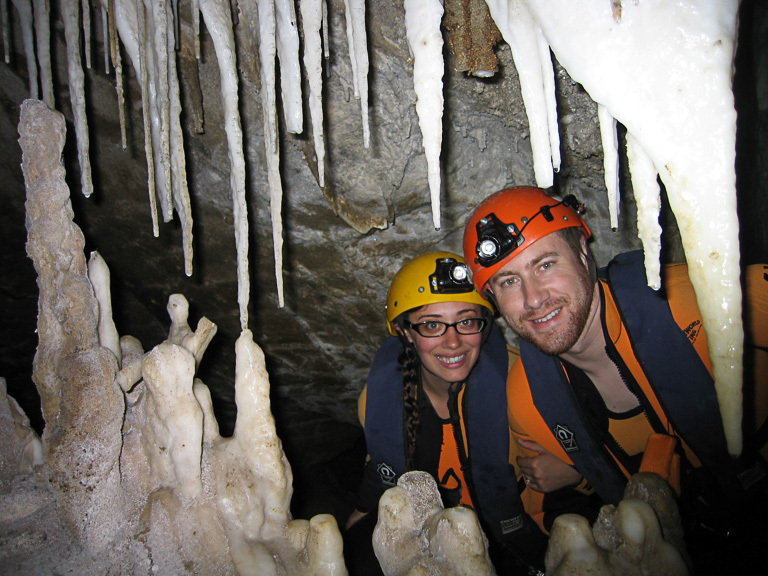 No honeymoon would be complete without a little caving, don’t you think? I mean, check us out…. 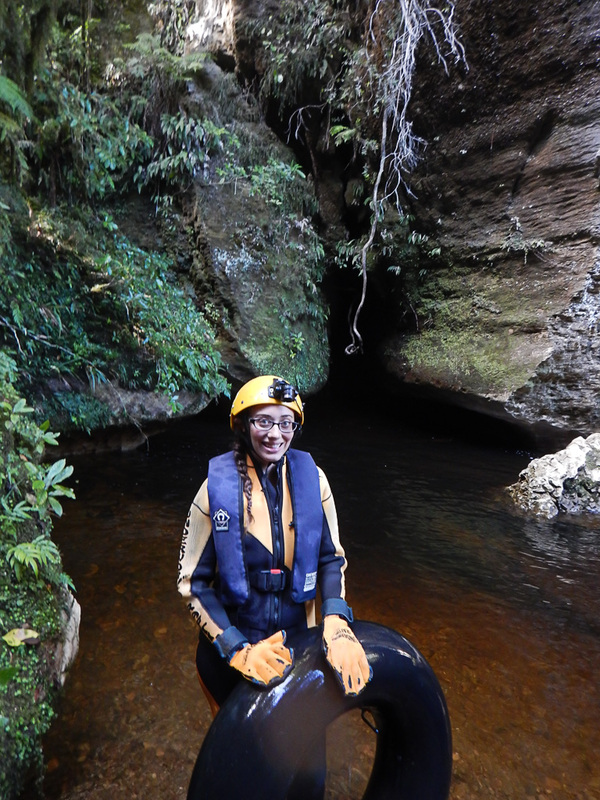 How can you go to New Zealand without going to a glowworm cave? At first, honestly, this sounded kind of touristy to me. I imagined sitting in a boat with a ton of people, gliding through a Disney-like attraction, and I think it can feel like that on certain tours. 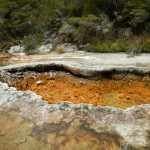 But we decided to go to the glowworm caves in Te Anau, on the South Island. 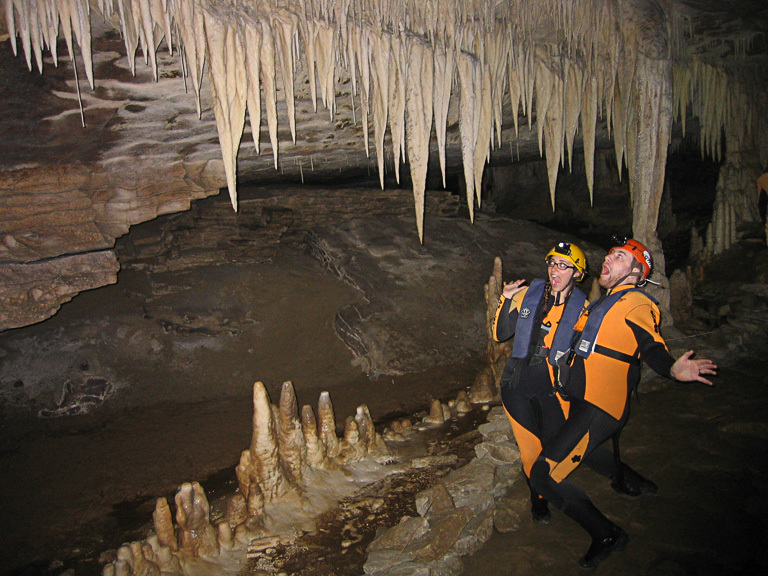 It’s way less popular than Waitomo, but it seemed less touristy, and there are a ton of different caving tours you can do. 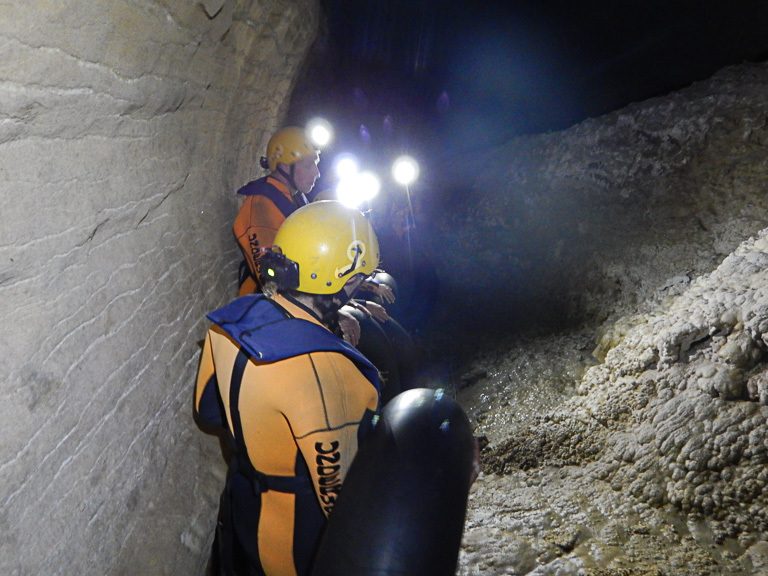 Some of them involve going down on a rope, jumping into water, and shimmying through super tight spaces. Others involve just sitting on a boat. 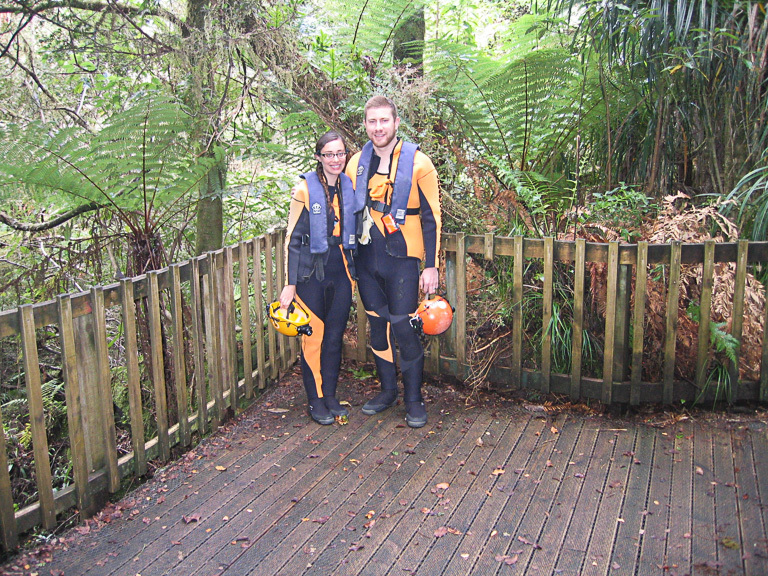 We went for an in-between: a walking tour through the caves and a little rafting to see the glowwworms. I think we made the right decision. I feel like I should warn you straight up: I didn’t take a single picture of the glowworms. It was such a special, serene few moments, and I didn’t want to spoil it for myself or anyone I was with by whipping out the bright screen of my camera. 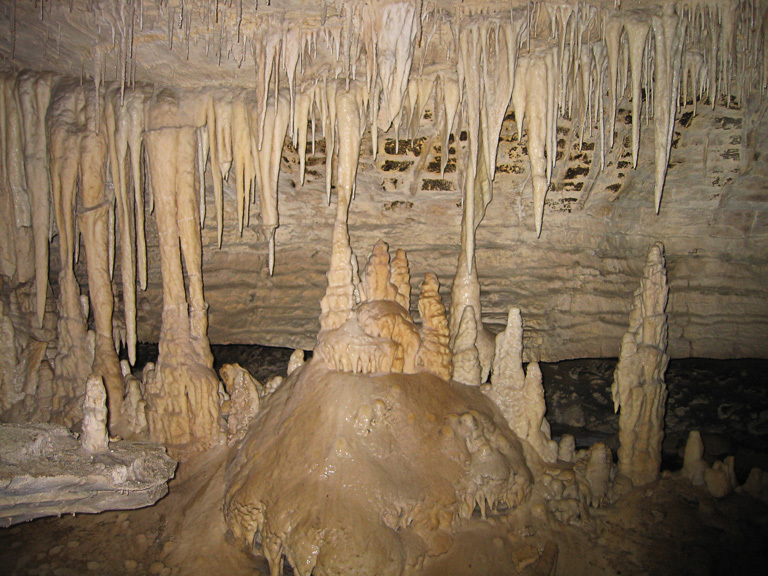 But we got some really cool pictures of the cave! 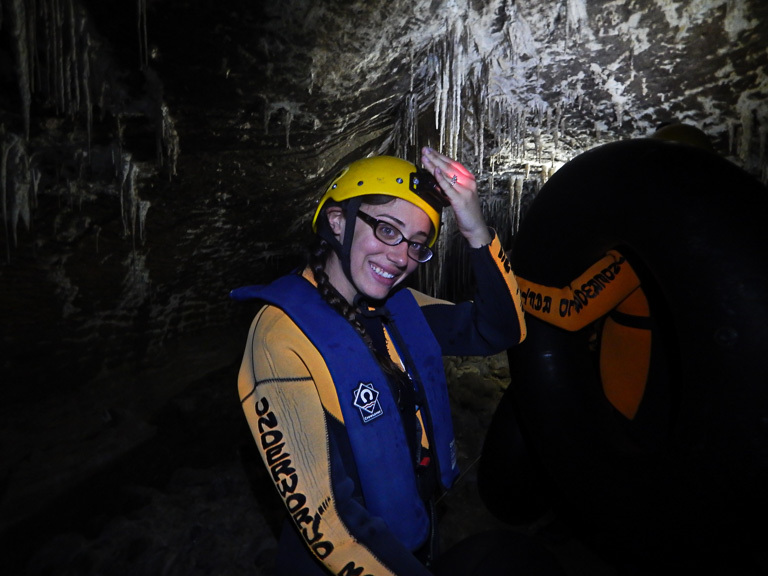 When we got there, we were given a wet suit, headlamp, and a tube. 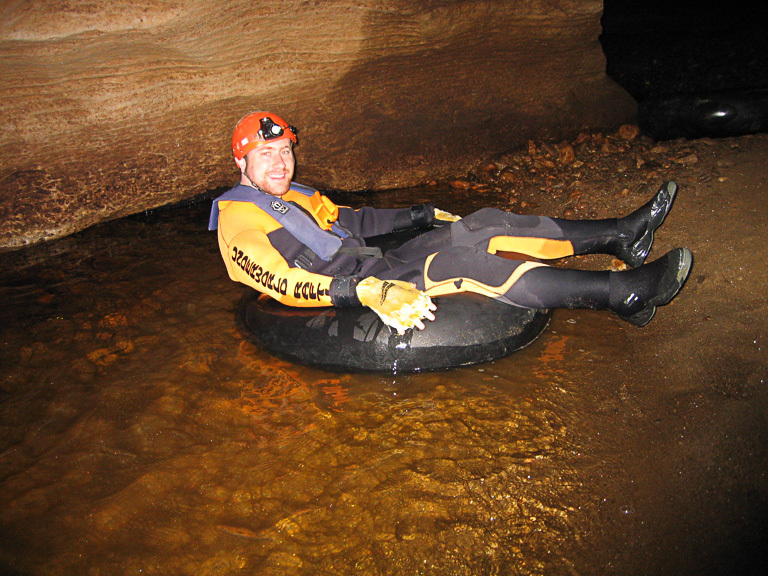 We had to carry the tube throughout the tour of the caves, and then we got to use them at the end. We took two short rides, on a bus and on a train, and then we walked/took stairs the rest of the way to get to the start of the cave. One of the things that I really liked about the tour was that our guide make sure to take plenty of pictures of us throughout the whole time – and you know how much I love pictures! Entering the cave was not scary at all! I was a little bit nervous because I had no idea what to expect and had never done anything like this before, but excitement definitely took over any nerves I was feeling. The entrance we used was above-ground, so it was just kind of like walking into a tunnel. Piece of cake. 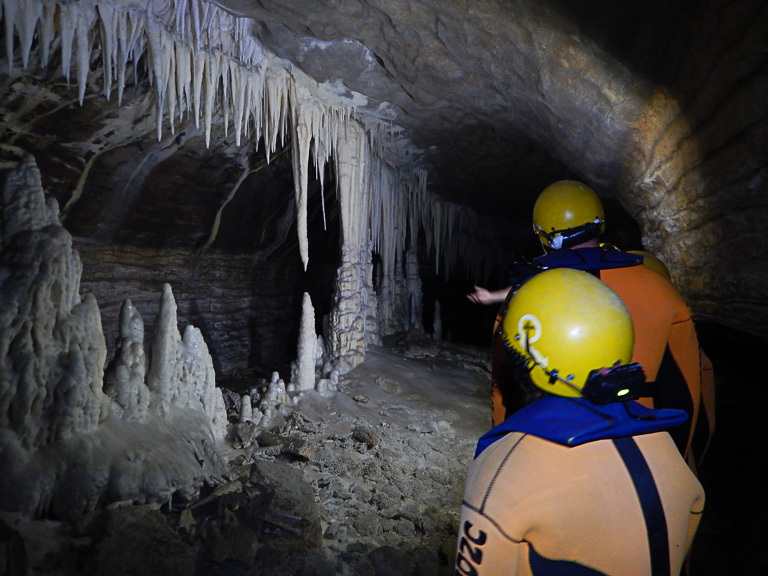 During the first part of the tour, we just walked through the caves as our guide told us about the different formations and the history of the cave. 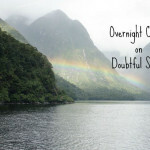 Thank goodness we had our headlamps, otherwise it would have been completely dark. No lights in the cave! 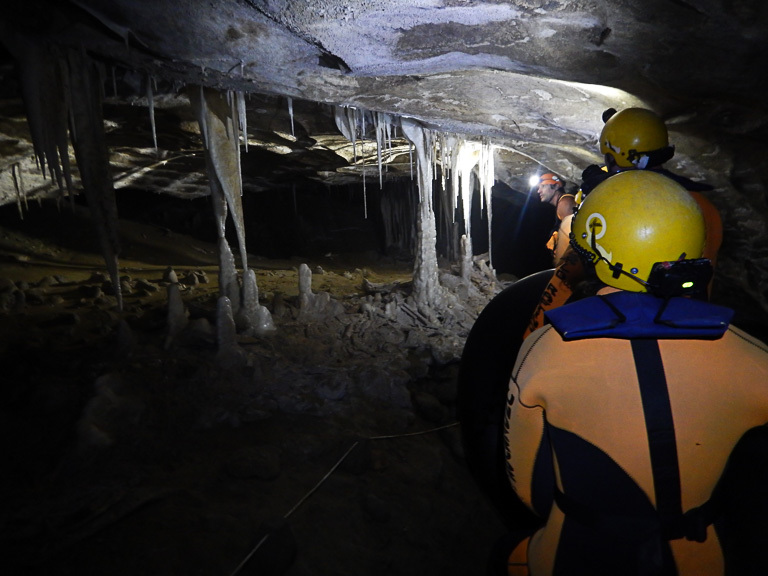 At one point, our guide did have all of us shut off our headlamps so that we could all experience complete darkness. I couldn’t even see my hand in front of my face so I was glad I had Nick right next to me! I don’t think I’ve ever experienced that level of darkness – it was so cool. But then I was glad I had my headlamp to put back on! 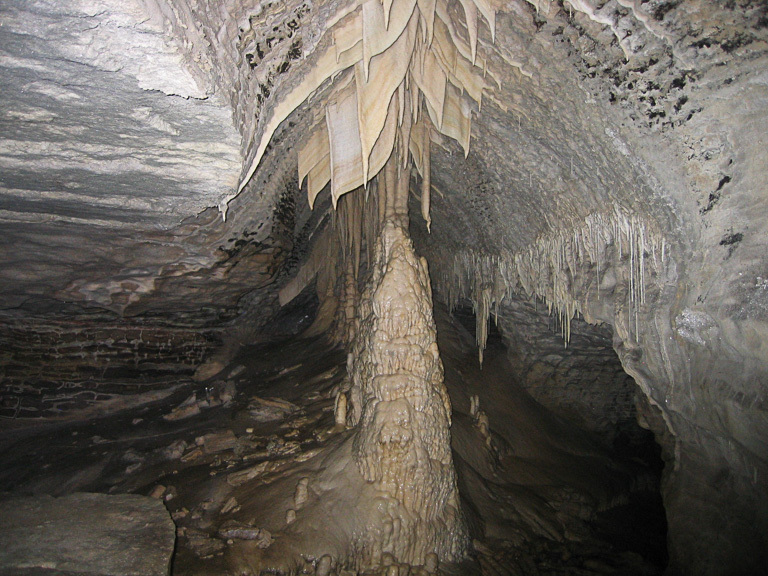 Our tour guide told us to try to look scared, because the cave formation here kinda looks like teeth! This was the best Nick and I could do. Soon it was time to see the glowworms. There were 7 of us all together, and we made a train with our tubes by joining our legs together. Then we all laid back and let the river carry us downstream together. As we floated through the cave, all I could see were blue dots surrounded by complete darkness, almost like stars. No one said a word as we watched them twinkle on the ceiling. It was incredible; I felt like I got to experience such a hidden part of nature. We turned off our headlamps, so it was pitch-black, except for the glowworms. It almost felt like we were outside looking up at the sky instead of in a cave. It was crazy to me to think that these glowworms sit in darkness all day. 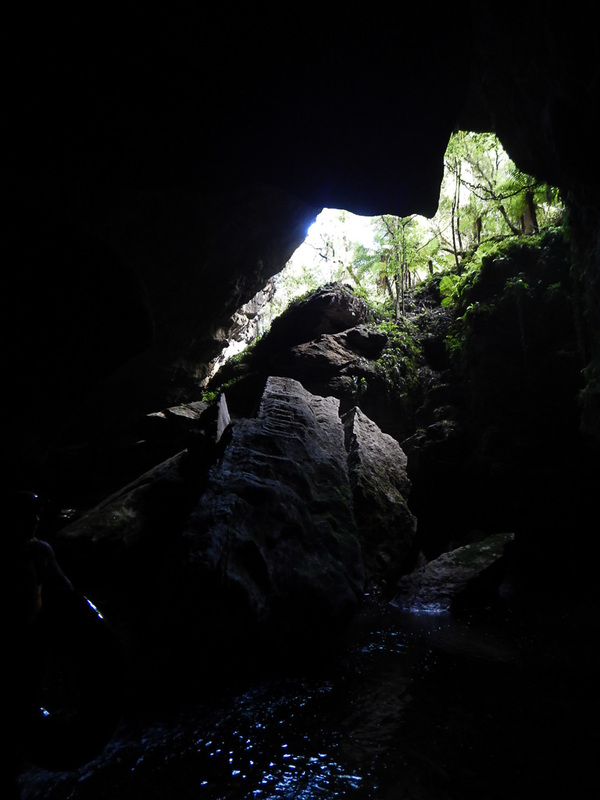 After we saw the glowworms, we reached the end of the cave. 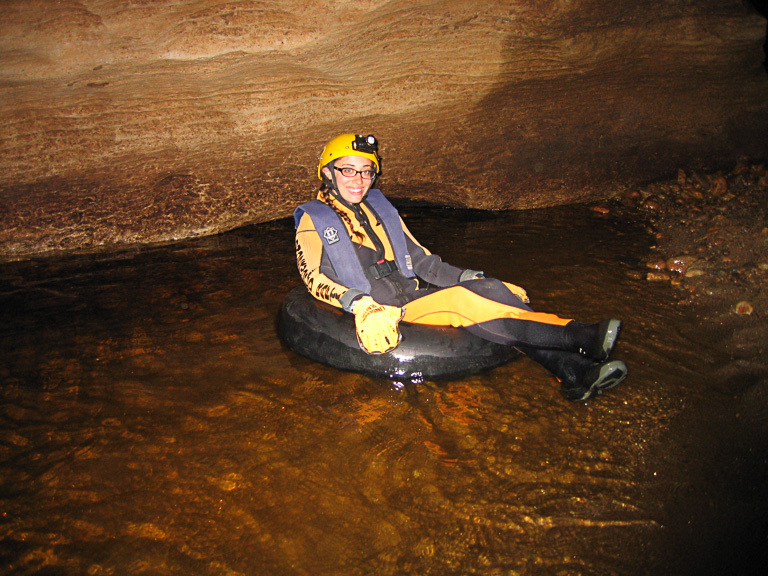 We got out and took a little ride downstream in our tubes, and then our journey was over. 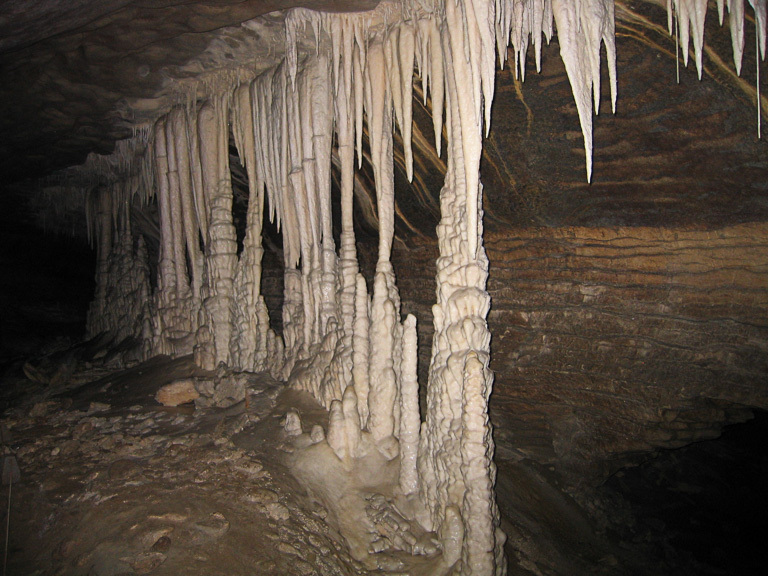 I absolutely loved the glowworm caves! I honestly wasn’t sure it would live up to the hype, and I wasn’t sure it would be worth it. But it definitely was! 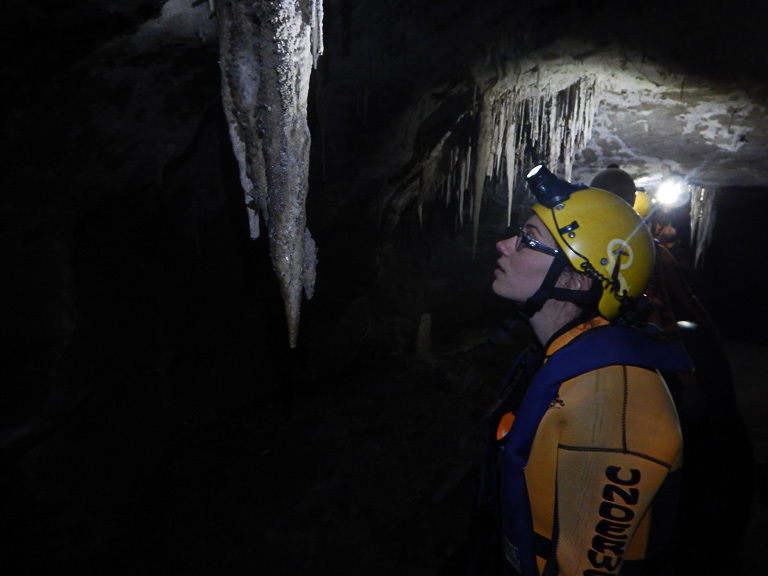 I loved going through caves and seeing all of the different formations, and then seeing all of those glowworms scattered across the ceiling of the cave. It was definitely a one-of-a-kind experience. And you know what, it did end up being romantic, in an adventure-y kind of way. 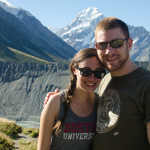 I am so glad we did it and I highly recommend it to anyone going to New Zealand! You can’t do something like this just anywhere. We went with Underworld Adventures Ltd, and I couldn’t have been happier. They gave us great equipment, our tour guide was super knowledgeable, friendly, and helpful, and he took tons of pictures of us, which we received for free at the end. I was extremely comfortable with them and I think they did a great job. It doesn’t get much better! 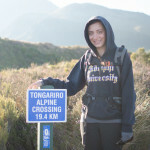 Hiking the Tongariro Alpine Crossing! Aren’t glowworm caves just the best? I need to take my husband the next time we’re home! 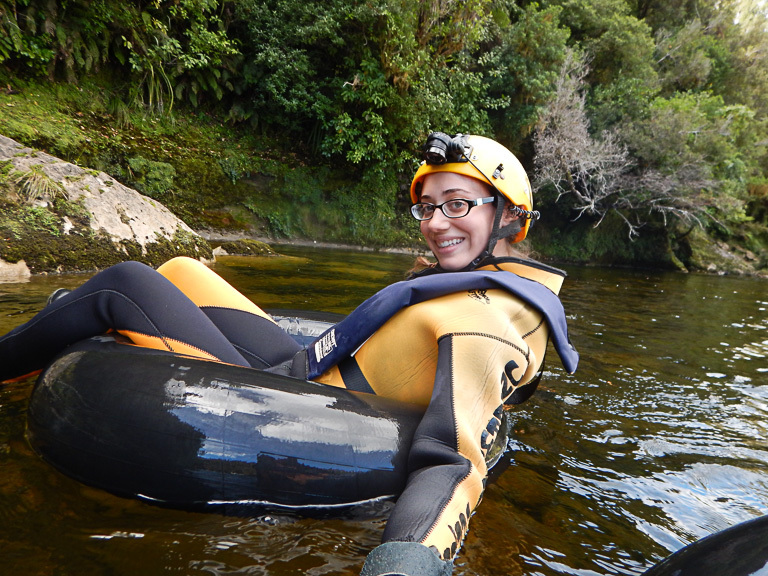 It’s absolutely a New Zealand must do! It was incredible, completely unlike anything I’ve ever seen before.